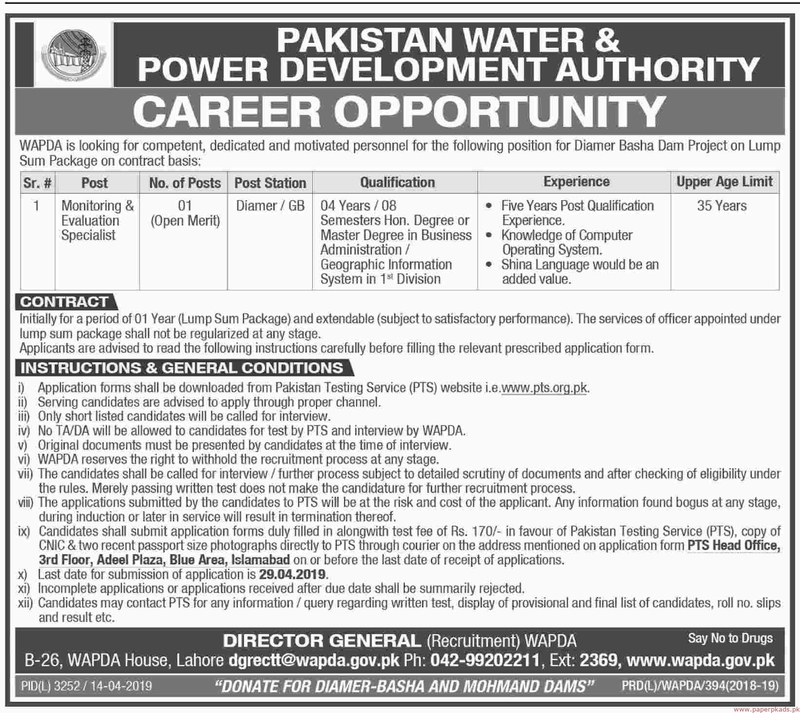 Pakistan Water & Power Development Authority (WAPDA) Jobs 2019 Latest Offers Vacancies for the Positions of Monitoring & Evaluation Specialist. These posts are to be based PUNJAB Islamabad. The aforesaid Jobs are published in Dawn Newspaper. Last Date to Apply is April 29, 2019. More Details About Monitoring & Evaluation Specialist See job notification for relevant experience, qualification and age limit information.